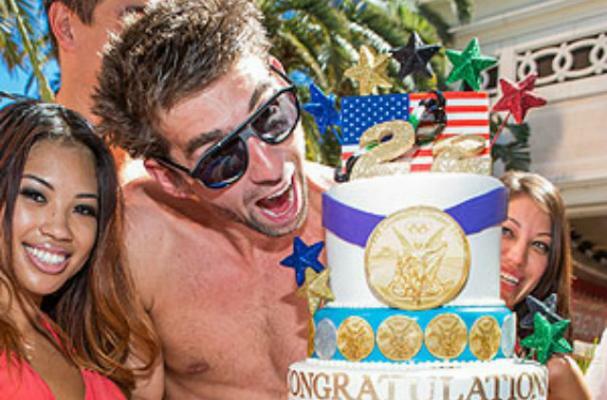 Michael Phelps has officially retired as an Olympic swimmer and celebrated his successful run at a pool party in Las Vegas. He was presented with a three-tiered cake to celebrate his 22 Olympic medals. The cake was decorated in gold medals, the Olympic rings and was topped off with the number '22' and the American flag. Phelps was joined by fellow Olympians, Nathan Adrian and Charles Houchin, as well as DJ David Guetta who provided the music.